Here you will find answers to such questions as:. What can I expect when I come to worship at St. Paul’s? This section provides answers to many frequently asked questions and is designed for old Episcopalians and newcomers alike. All families have their own traditions and the Episcopal Church is no different. However, if you have ever spent a holiday with a friend, you may understand how lost and perhaps uncomfortable you can feel when out of your own “traditional” element. We want everyone to feel comfortable and welcome. As such, we wanted to make a place for you to find information about the theology, practices and traditions of the Episcopal Church. 9 How Does A Bishop Become A Bishop? I believe in Jesus Christ, his only Son, our Lord. He was conceived by the power of the Holy Spirit and born of the Virgin Mary. He suffered under Pontius Pilate, was crucified, died, and was buried. He descended to the dead. On the third day he rose again. He ascended into heaven and is seated at the right hand of the Father. He will come again to judge the living and the dead. The Bible is our foundation, understood through tradition and reason, containing all things necessary for salvation. Our worship is filled with Scripture from beginning to end. Christians and a foretaste of the heavenly banquet. As such, all persons who have been baptized, and are therefore part of the extended family that is the Church, are welcome to receive the bread and wine, and be in communion with God and each other. The Episcopal Church Seal, visible on many roadways in the United States to indicate the presence of an Episcopal Church, was officially adopted by the General Convention of 1940. The seal has the same basic design as the Episcopal flag. The colors of both signify fidelity (blue), the blood of martyrs (red) and purity (white). A red St. George’s cross in the center divides the seal into four sections, three white and one blue. The nine crosslets in the upper-left blue section of the seal together create a St. Andrew’s cross. Since St. George is the patron saint of England and St. Andrew the patron saint of Scotland, the seal becomes a visual image of the heritage of the Episcopal Church. The first American Bishop, Samuel Seabury, received apostolic consecration from the Episcopal Church of Scotland after the American Revolution. The nine crosslets in the seal represent the nine original dioceses that met in 1789 to form the Protestant Episcopal Church in the United States of America––Connecticut, Delaware, Maryland, Massachusetts, New Jersey, New York, Pennsylvania, South Carolina and Virginia. One way the Church tells the story of God’s redemptive activity in the world is by its calendar. Within the cycle of a year, she unfolds the whole mystery of Christ. Recalling thus the mysteries of redemption, the Church opens to the faithful the riches of her Lord’s powers and mercies, so that they are in some way made present at all times, and the faithful are enabled to lay hold of them and become filled with saving grace. Over the centuries, certain festivals and the seasons surrounding them have been established. The events celebrated did not necessarily occur on these dates; rather the dates have evolved to shape the whole year into a pattern of recollection. These patterns of worship provide a yearly cycle through which we remember our story and deepen our understanding of its meaning for us. The lectionary is not a chronological approach to reading the Bible, nor is it a book-by-book approach. Each week the scripture readings are closely linked to the seasons of the Church’s life cycle, its liturgical calendar. In the first half of the Church year, we follow the major events of the life of Jesus, including his birth, death, resurrection and the birth of the Church, and in the second half we study Jesus’ actions and teachings. In addition, the lectionary provides an opportunity to remember great persons in Church history on saints’ days and to celebrate special events in the life of a parish, such as confirmation. Throughout the year, scriptures have been chosen for their appropriateness for the occasions on which they are read. The repetitive nature of the three-year lectionary cycle means that catechists need not feel compelled to present all there is to know about any given reading in a particular session. The growing child, the questioning adolescent and the maturing adult will each encounter these scriptures again and again at progressive stages of understanding. The Church year is anchored by two important segments. The first is Advent—Christmas— Epiphany and the second is Lent —Holy Week—Easter. Both segments describe a passage from dark to light. Confirmation is a pastoral rite in The Episcopal Church, which means it is not a rite that notes some fuller initiation into the Church, the Body of Christ. A person is a full member of the Church through Baptism. Confirmation, as defined in The Book of Common Prayer is “a mature public affirmation of faith and commitment to the responsibilities of Baptism.” At Confirmation, an individual receives the laying on of hands by the bishop, thereby affirming their own faith and visibly connecting to the broader Body of Christ. Confirmation is “a mature and public affirmation of faith and commitment to the responsibilities of Baptism” (BCP). Reaffirmation means that you choose to re-state your commitment to Christ in The Episcopal Church, honoring your growth in faith throughout your spiritual journey. For many people, their path has wandered in and out of various denominations. Reaffirmation is a way to honor their journey and their previous public commitment as an adult while also making this definitive sacramental gesture. Reception is common for people who have been active throughout their lives in other denominations. Often, individuals who made a public profession of faith in a faith tradition such as the Baptist Church will choose to be Received into The Episcopal Church. Yes, because you have not made a mature affirmation of the faith. Your Baptism, once registered in the parish office, makes you a full member of The Episcopal Church. In terms of the sacraments, Confirmation is a way for you to reaffirm your faith and remain deeply connected to the Baptism of your childhood. Yes. Since Confirmation is a “mature and public affirmation,” it is redundant for you to make another mature and public affirmation; you made such an affirmation at your Baptism. And, The Episcopal Church honors your commitment to faith. Reception would mean that the bishop publicly recognizes the faith that has been present in your life, and you would be formally welcomed into The Episcopal Church through the laying on of hands. You may want to consider Reaffirmation if you feel your faith has grown substantially in the past few years. Remember that Confirmation is a pastoral rite of the Church, so its sacramental nature should connect with your present relationship with God. What is the meaning of the bishop laying hands on those who are confirmed, reaffirmed, or received? The bishop is the individual who, symbolically, represents the unity of the entire diocese. 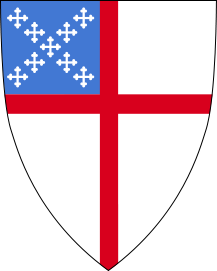 The basic “unit” of The Episcopal Church is the diocese, and the bishop as a person is a visible means of reminding us of our common bond in Christ within The Episcopal Church. When the bishop lays hands on your head during the service, it is a very tangible way for you to experience your own faith journey being welcomed into the larger journey of the Body of Christ. For many people, this portion of the sacramental service is very meaningful. A sacrament is “an outward and visible sign of an inward and spiritual grace, given by Christ as sure and certain means by which we receive that grace.” In this way, the touch experienced in the laying on of hands forever remains in your memory as an experience of grace through the Church. Am I a “full member” of The Episcopal Church without being confirmed? Yes. The Book of Common Prayer defines Baptism as “full initiation by water and the Holy Spirit into Christ’s Body the Church. The bond which God establishes in Baptism is indissoluble.” Confirmation is a pastoral rite not in an initiatory rite. This means that the sacramental nature of confirmation connects with our growth in faith and in relationship with God. Through Holy Baptism, we join Christ’s Body, either as infants or adults. Yes. God may call some individuals, through the Church, into positions of guidance and leadership. For example, The Canons of The Episcopal Church state that Confirmation is required for certain leadership positions, such as Vestry members, and for some service positions such as Eucharistic Visitors, but this in no way precludes an unconfirmed individual from being considered a full member of the Body of Christ. Confirmation, in cases of leadership and guidance, emphasizes one’s public affirmation of faith within the tradition of The Episcopal Church. While bishops in the Episcopal Church are elected on the local level, they are not approved to serve as bishops until after the completion of a consent process by the leaders of the rest of the church. Ordination may take place only after these consents have been received. Generally, the process for electing bishops in the dioceses of the Episcopal Church is the same, whether the election calls for a bishop diocesan (who has jurisdiction over a diocese), a coadjutor (who will succeed a sitting bishop diocesan upon the latter’s retirement or resignation) or a bishop suffragan (who is elected to assist the bishop diocesan). After a process of discernment within the diocese, in which a selection of candidates is presented to the diocese, usually by a representative committee, an election is conducted on an appointed date. Upon election, the successful candidate is a bishop-elect. Following some procedural matters, including examinations, formal notices are then sent to bishops with jurisdiction (diocesan bishops only) with separate notices to the standing committee of each of the 110 dioceses in the Episcopal Church. These notices require their own actions and signatures. (Special procedures are used for elections that take place just before a meeting of General Convention.) It’s at this point that time starts ticking. In order for a bishop-elect to become a bishop, Canon III.11.4 (a) of the Episcopal Church mandates that a majority of diocesan bishops and a majority of diocesan standing committees must consent to the bishop-elect’s ordination as bishop. These actions — carried out separately — must be completed within 120 days from the day after notice of the election was sent to the proper parties. If the bishop-elect receives a majority (at least 50% plus one) of consents from the diocesan bishops as well as a majority from the standing committees, the bishop-elect is one step closer. Following a successful consent process, ordination and celebration are in order. If the majority of diocesan bishops do not consent, and/or the majority of the standing committees do not consent, the Presiding Bishop, in accordance with Canon III.11.5, is required to declare the election null and void. In such a case, the person elected by the diocese will not be ordained, and the process must start anew. If the consents are received in time and good order, it is at this point, often more than four months after local election, that a bishop-elect is made a bishop by at least three ordained bishops through the Service Of Ordination. In its modern form, the church dates from the English Reformation of the 16th century, when royal supremacy was established, and the authority of the papacy was repudiated. With the advent of British colonization, the Church of England was established on every continent. In time, these churches gained their independence, but retained connections with the mother church in the Anglican Communion.